This week I have been planning my Christmas mantle. I know, I know its early, but I love the season and it doesn’t hurt to do a little early brainstorming. 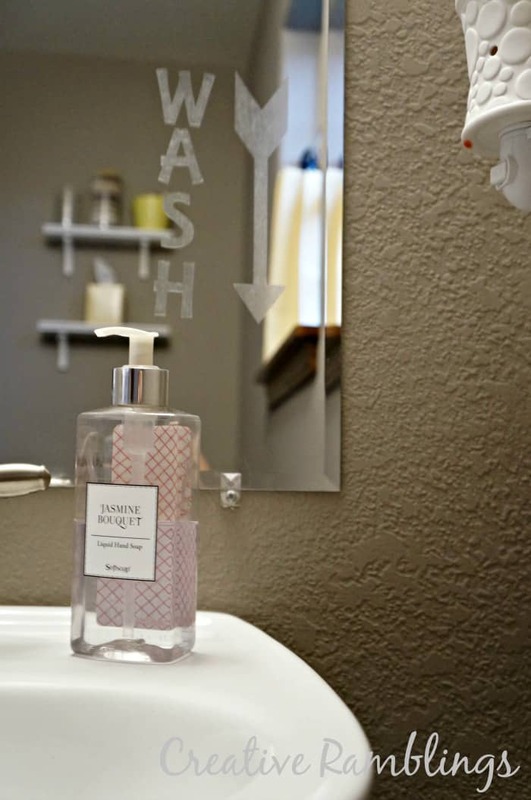 I have a new mirror on my mantle and want to do some faux etching with vinyl for the winter. 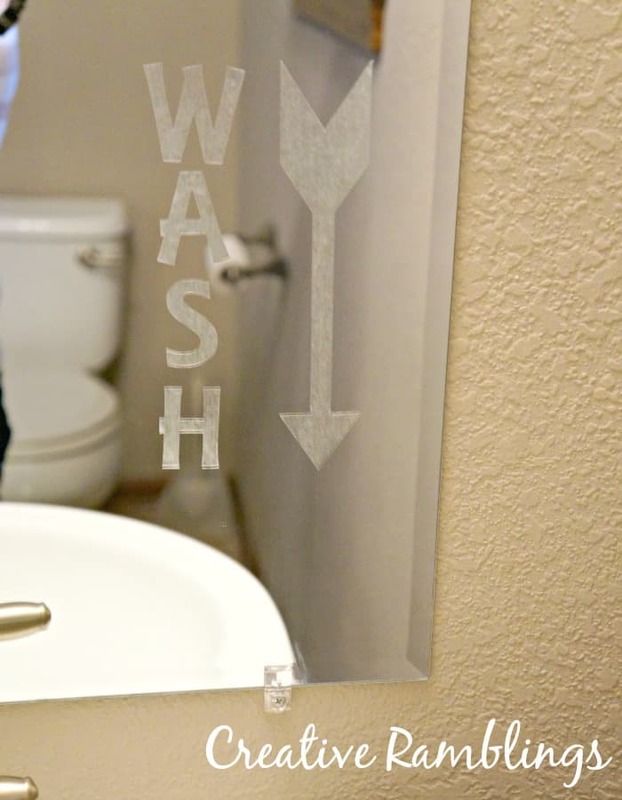 I thought I would test out a few ideas and techniques on my bathroom mirror first. To my surprise, the first and easiest technique worked! So let me share with you this easy, temporary, faux etching technique. I cut out a thick simple design. WASH and an arrow. Just a friendly reminder for my Little Lady. After cutting and weeding the design I used transfer paper to place it on the mirror. Once on the mirror I used my scraper to smooth out all the bubbles. And that’s it! An easy faux glass etching technique. I’m excited to use this on my winter mantle.